They’re here! Martin Tuchman School of Management welcomes three new faculty members this academic year: Jorge Fresneda, assistant professor of digital marketing and marketing analytics; Raja Roy, assistant professor of innovation and entrepreneurship; and Stephen Taylor, assistant professor of finance. All three join the university with stellar credentials and research savvy, but what about their personal stories? Here they divulge a little more about themselves, from first jobs to dream vacations to what famous person impacted them most. 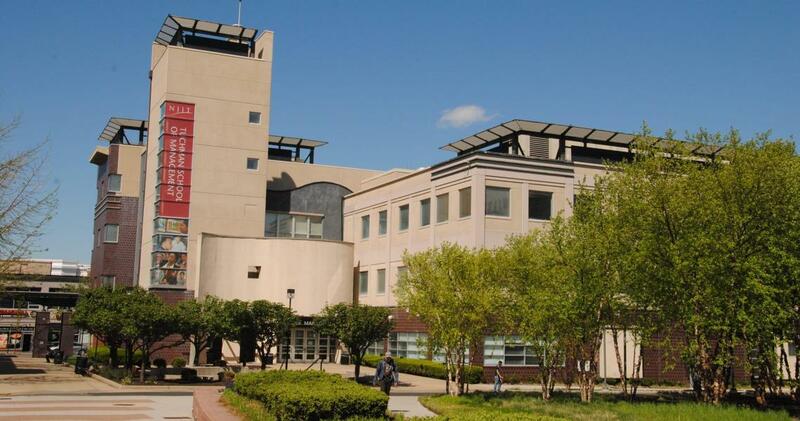 Professional Side: Fresneda comes to NJIT from Drexel University’s LeBow College of Business, where he recently completed a doctorate in marketing. Among his research interests is the role of information in online consumer reviews, including analyses of the impact of their different elements on their perceived helpfulness. He has looked at ways to improve the process by which reviews are classified in terms of information content and to develop a means to overcome information overload. His work includes the application of data mining and advanced statistical techniques in business. Before entering the Ph.D. program at Drexel University, Fresneda worked as a product manager for one of the largest manufacturing companies of construction materials in Spain, where he gained extensive experience in marketing management as he traveled around the globe. The last movie I saw was...“Dunkirk,” awesome! My favorite snack is…cheddar popcorn. I can’t stop until the bag is completely empty! My first job was…as a research assistant when I was taking my undergrad at the University of Alcala. When I’m not working I’m...biking or swimming. Staying active helps me focus on my research and teaching. My dream vacation is…Machu Picchu in Peru. My best day this past summer was…the first time that my fiancée and I walked the dogs around Lake Carnegie [in Princeton where I moved this summer]. A famous person who made the biggest impression on me was…I have always admired the ability to create art. I can’t mention just one person… Gustav Klimt (painting), Henryk Górecki (music), García Márquez (literature) and the list goes on and on. If I had all the time, money and resources in the world, the problem in my field I would tackle would be…education, education, education — accessible education for everyone. Only through education can we make this world a better place to live and thrive. My students would be surprised to know that…my hometown is where Miguel de Cervantes, the writer of “Don Quixote,” was born. FYI, my hometown is Alcala de Henares, a small city outside Madrid. Professional Side: Roy joins NJIT from Northeastern Illinois University in Chicago, where he was an assistant professor in management at the College of Business and Management. His research explores the role of firm-level capabilities, such as access to complementary technologies and in-house users, during technological disruptions in high-tech industries such as machine tools, industrial robotics, image sensors, space shuttles and ballistic missiles. His research has been published in Strategic Management Journal, Strategic Entrepreneurship Journal and Journal of Engineering and Technology Management. At Northeastern Illinois University, he has been developing a minor in entrepreneurship for nonbusiness major undergraduate students. In an earlier stint at Tulane University, he received the university’s Outstanding Entrepreneurship Educator Award for teaching graduate-level entrepreneurship courses. My favorite television show is…None! My first job was…production engineer for Dunlop Tires in India. When I’m not working I’m…hiking or kayaking with my wife Jenni and son Rishav. My dream vacation is…rafting on the Hulahula River in Alaska’s Arctic National Wildlife Refuge. My best day this past summer was…kayaking at Isle Royale National Park in Michigan. A famous person who made the biggest impression on me was…Jane Goodall. If I had all the time, money and resources in the world, the problem in my field I would tackle would be…how to make American the greatest in STEM again! My students would be surprised to know that I…have acted in various roles onstage in several cities, including New York, Philadelphia, Atlantic City and Washington, D.C.
Professional Side: Taylor comes to NJIT following seven years in the financial services industry as a quantitative research analyst. His work for Tudor Investment Corporation, Hutchin Hill Capital, Morgan Stanley and Bloomberg encompassed a variety of quantitative projects, including developing hedging algorithms and implementing risk- and performance-metric monitoring software. In addition, Taylor was a technical staff member at MIT’s Lincoln Laboratory, where he worked on developing radar compression algorithms. His research focuses on the application of nontraditional mathematical and statistical methods to quantitative finance problems with a focus on risk and valuation. Taylor has kept his hand in teaching while working as a research analyst, leading graduate-student projects at the University of Chicago and New York University. My first job was…Little League umpire. When I’m not working I’m…sleeping. My best day this past summer was…hiking in Watkins Glen State Park. A famous person who made the biggest impression on me was…Einstein. If I had all the time, money and resources in the world, the problem in my field I would tackle would be…making the U.S. financial system more open and transparent. My students would be surprised to know that I…enjoy doing general contracting work around my house.